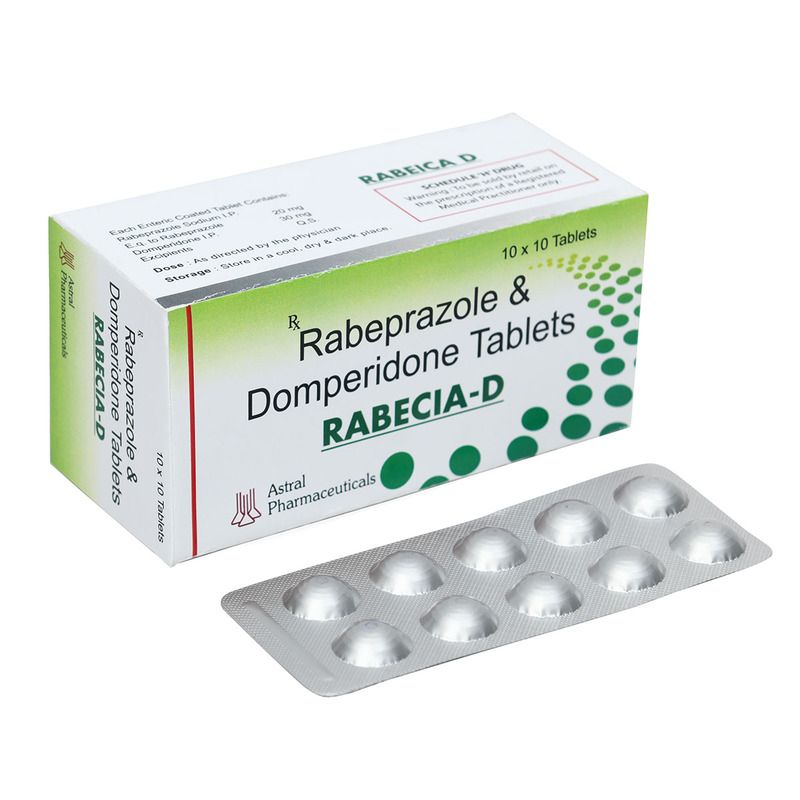 Rabesia D is used for stomach disease includes Gastro-oesophageal reflux disease (GORD). It is also used for nausea, vomiting, heart burn, gastric ulcer etc. Alu Alu strip of ten tablets & 10 X 10 Alu Alu Strips kept in a multicolor laminated box. It is mainly used a condition in which backward flow of acid from the stomach causes heartburn and possible injury of the oesophagus (the tube that connects the throat and stomach). 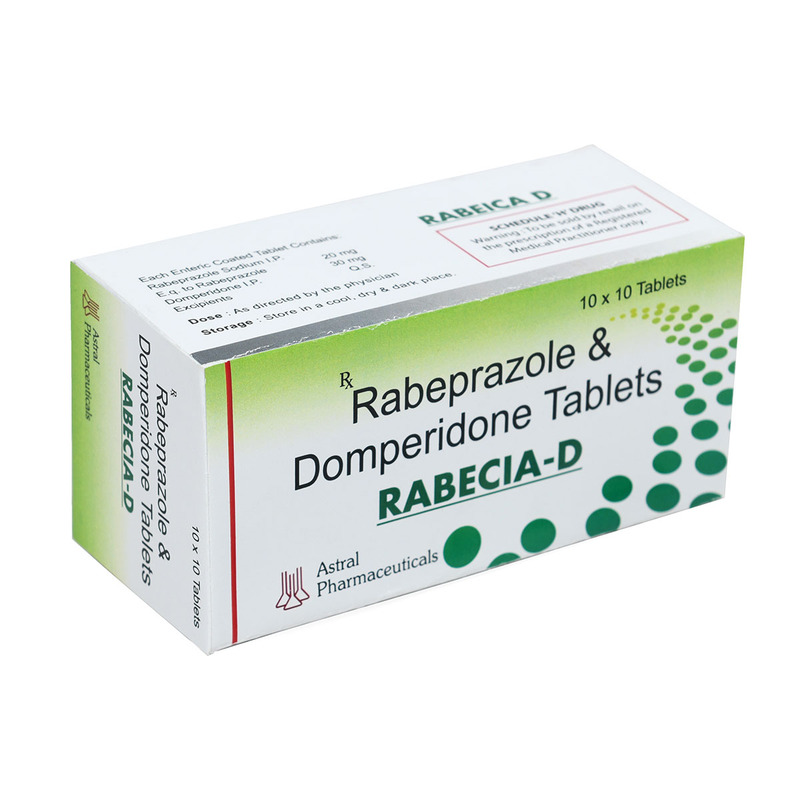 Rabeprazole is used to treat: certain stomach and oesophagus problems (such as acid reflux, ulcers). It works by decreasing the amount of acid your stomach makes. It relieves symptoms such as heartburn, difficulty swallowing, and persistent cough.